Rancho Buena Vista Adobe in Vista is a lasting testament to the Dons and rancheros of the brief Mexican romantic period. Before Alta California became a part of the Mexican state, about 30 Spanish land grants had already been deeded in all of Alta California to a few friends and family of the Alta California Governors. 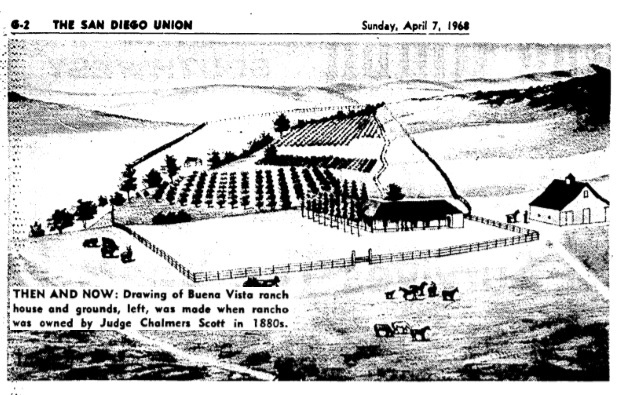 Rancho Buena Vista Adobe was originally part of the vast grazing lands tended to by the European Catholic Mission padres of San Luis Rey Mission. Following Mexico’s independence from Spain, the 1824 Mexican Colony Law established rules for petitioning for land grants in California. By 1828, the rules for establishing land grants were codified in the Mexican Reglamento (Regulation). The Acts sought to break the monopoly of the Franciscan missions, while paving the way for additional settlers to California by making land grants easier to obtain. In 1845 Mexican Govenor Pio Pico granted the rancho to an Indian, Felipe Subria. The land and rancho changed hands numerous times and underwent many structural changes throughout history. At one point, the rancho was even owned by the famous San Diego pioneer Cave Johnson Couts. Eventually, the final owner offered to sell the adobe to the city of Vista. The city council began hearings and voted to approve escrow on July 10, 1989 buying it for one million dollars, with a loan of $2,150,000. After the purchase, the additional funds were used for renovations while a core of volunteers built a museum from scratch. 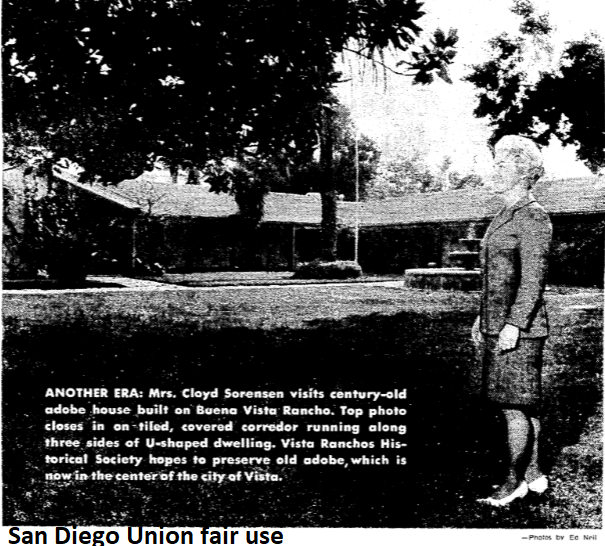 Whether or not the Rancho Buena Vista Adobe is actually haunted or not remains a matter of opinion. We at San Diego Haunted hope to see invitations from the City of Vista for other local, credible ghost hunting teams to get a chance to investigate on their own, overnight, without being charged money for access to the location.